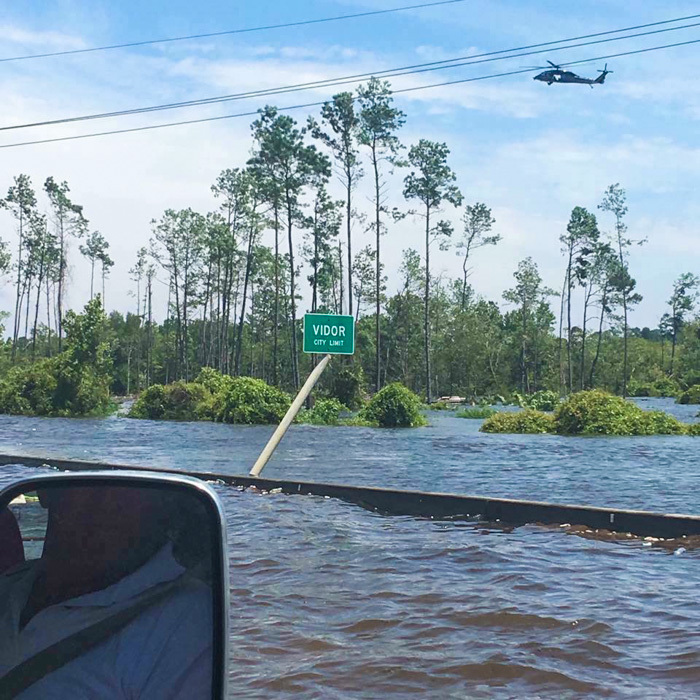 The Army National Guard helped those stranded in flood waters caused by Hurricane Harvey, which made an August landfall in Texas. More than 80 people in Houston died due Hurricane Harvey and the flooding that followed. HURRICANES HARVEY AND Irma wreaked havoc on the United States, affecting members in Texas and Florida. International Rep Clay Herford said that members in Houston were hit especially hard when Harvey landed in August. 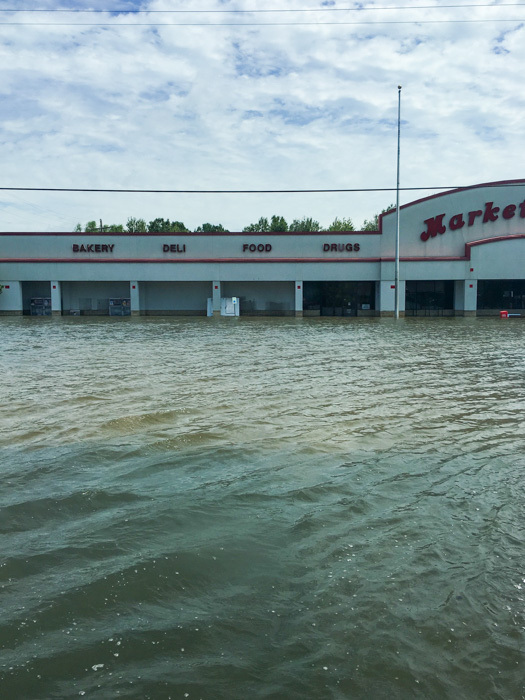 While the Local 74 (Houston, Texas) union hall escaped harm, with flood waters only covering the parking lot, some members weren’t that lucky. Herford said that one member lost his home. 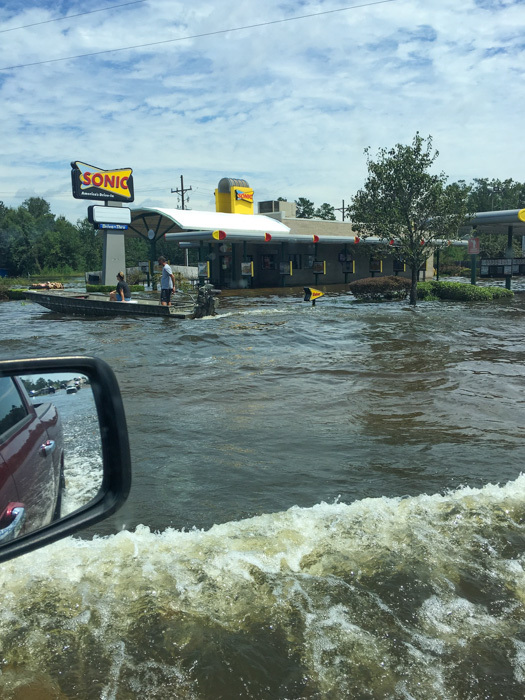 Others had wind damage to their homes and a range of flooding from minor to major. In addition, some construction projects were put on hold, causing members to lose work. Mack Wilbun, from Local 74, lost his house in the flood. Water started rising on the first night but didn’t enter the house, so he and his family decided to wait it out. Then, water rose quickly. The entire house flooded. He doesn’t have the funds to rebuild. Also affected in Texas were members and retirees of Local 132 (Galveston, Texas) and the Quality Control Council of the United States. While Irma hit the East Coast in September, members escaped with little damage to their property. James Barnes, Business Manager/Secretary-Treasurer of Local 433 (Tampa, Florida) said he knows of no major devastation, mostly felled trees and power outages. FIRES IN AUGUST ravaged British Columbia, torching forests, brush and grasslands and prompting evacuations. Oncoming fires forced 14 members of Local 359 (Vancouver, British Columbia) out of their homes. International Rep Richard MacIntosh said that four Local 359 Boilermakers were in need of help as a result of the fires. While no members lost their homes, those in the fire’s path had to bear the cost of evacuation travel, food (including the loss of food in freezers and fridges), clothing and shelter. There was also cleanup for the homes damaged by smoke and land damaged by fire. A quickly-moving fire leveled homes throughout Northern California wine country in October, decimating structures and land, and killing 42 people. Local 549 (Pittsburg, California) BM-ST Mark Sloan said the fires only affected a handful of members, mostly in Santa Rosa. MARK GARRETT, DIRECTOR of Health and Safety Services and Administrator of the Disaster Relief Fund, said funds were dispersed to 25 members and retirees from Local 74, Local 132 (Galveston, Texas) and the QCCUS as well as four members in British Columbia. A CONTINGENT OF seven Boilermakers went to Puerto Rico following the devastation of Hurricane Maria as part of a 300-plus union member relief effort by the AFL-CIO and United Airlines. Over 20 unions from 17 states took part in the operation including nurses, doctors, electricians, engineers, carpenters and truck drivers. Jeffrey Hughes, Director—National Training Services, Construction Sector Operations, led the Boilermaker team during the two-week relief effort. Six members from four local lodges also participated. They were: Anthony Cimilluca and Jonathon Johnson, Local 5 Zone 175 (Oswego, New York); Dana Briggs and Joel Kipfer, Local 26 (Savannah, Georgia); Edmond Riviere, Local 37 (New Orleans); and Kenneth Thornton, Local 456 (Rock Hill, South Carolina). TO DONATE TO the Disaster Relief Fund, checks should be made to “W.T. Creeden, IST” with “Disaster Relief Fund” noted on the memo line of the checks.